Information that you provide when filling in forms on our website such as your name, business address, telephone number, email address and any feedback you give to us, including by phone, email, post, or when you communicate with us via social media. Information that you provide when purchasing our products and services, such as your name, business address, telephone number, email address and bank details for payments. We retain information about the services that we provide to you (including for example, what they were, when and where, what you paid, the way you use our products and services). Falconer Print and Packaging site may contain web beacons from third parties to help us compile aggregated statistics regarding the effectiveness of our promotional campaigns or other website operations. These web beacons may allow the third parties to set or read a cookie on your computer. We prohibit third parties from using web beacons on our sites to collect or access your personal information. When you register to receive our communications, we retain your information to send you periodic communications about our products, services and general company news updates. • Web forms, such as when you type information into a registration form or type a search query into a search box. • Web logging, which enables us to collect the standard information your browser sends to every website you visit – such as your IP address, browser type and language, and the site you came from – as well as the pages you visit and the links you click while using our sites and services. • Software installed on your computer or other devices, which may send back information needed to operate, update or improve that software. • For statistical analysis to help us improve your experience with us. • To help us understand more about you as a customer, the products and services you choose and the manner in which you communicate with us so we can provide a better service. • To provide you with information about our products and services, news and service updates. • To help answer your questions and resolve any issues you have about our obligations with you using our products and services. • To assess suitability for career applications and to contact you in response to your registered interest in a career at Falconer Print and Packaging. Cookies cannot be used to run programs or deliver viruses to your computer. You can accept or reject cookies. Most web browsers automatically accept cookies, but you can usually modify your browser settings to reject cookies. You must, however, accept cookies to use all the functions on this website. Targeted Advertising. When we display online advertisements to you, we will place one or more persistent cookies on your device to recognise your device each time we display an ad to you. Because we serve advertisements on our own websites as well as those of our advertising and publisher partners, we are able to compile information over time about the types of pages, content and ads you or others who are using your computer visited or viewed. This information is used for many purposes; for example, it helps us ensure that you do not see the same advertisements over and over again. We also use this information to help select and display targeted advertisements that we believe may be of interest to you. In addition to the cookies Falconer Print and Packaging may set when you visit our websites, third parties may also set certain cookies on your hard drive when you visit Falconer Print and Packaging website. In some cases, that is because we have hired the third party to provide certain services on our behalf, such as site analytics. In other cases, it is because our web pages contain content or ads from third parties, such as videos, news content or ads delivered by other ad networks. Because your browser connects to those third parties’ web servers to retrieve that content, those third parties are able to set or read their own cookies on your hard drive. Browser Controls to Block Cookies. Most web browsers automatically accept cookies, but you can usually modify your browser setting to block cookies. Please be aware that if you choose to block cookies, you may not be able to sign in or use other interactive features of Falconer Print and Packaging sites and services that depend on cookies, and some advertising preferences that are dependent on cookies may not be able to be respected. Browser Controls to Delete Cookies. If you accept cookies, you can delete them later. Instructions for deleting cookies in other browsers are available at http://www.allaboutcookies.org/manage-cookies/. Occasionally we work with partners and suppliers to help provide our products and services, and we may share your information, so they can process your order on our behalf, but only where they meet our standards on the processing of data and security. We only share information that allows them to provide their services to us or to facilitate them providing their services to you. Otherwise we will never share any information with third parties without your explicit consent. Please be aware that our website or communication may occasionally share links to other websites where we feel it is beneficial (for example, a trade publication featuring news about Falconer Print and Packaging) however we are not responsible for the privacy practices of other sites. We would like to tell you about our products and services that we think might help your business from time to time. It is important that we communicate on a business to business basis. Where you have consented to us doing so, we may do this via post, email, text message, phone, online, social media, or by any other electronic means. We won’t send you marketing messages if you tell us not to but we will still need to send you occasional service-related messages, on a business to business basis. You can opt-out of our marketing communication at any time. You have the right to access the personal information that we hold about you. We will normally provide this information free of charge, however we will need proof of identity and written notification to do so. If requests are manifestly unfounded or excessive, we may charge a proportionate fee and will advise you of this fee. When using one of our websites or mobile applications, you may be able to share information through social networks like Facebook and Twitter. For example, when you like, share or review our services. When doing this your personal information may be visible to the providers of those social networks and other users. Please remember it is your responsibility to set appropriate privacy settings on your social network accounts so you are comfortable with how your information is used and shared on them. Falconer Print and Packaging is committed to protecting the personal data you share with us. Falconer Print and Packaging uses a combination of industry-standard security technologies, procedures and organisational measures to help protect your personal data from unauthorised access, use or disclosure. Falconer Print and Packaging supports online security using secure server technology because we want your data to be safe. There are security arrangements and facilities on Falconer Print and Packaging sites to prevent abuse. 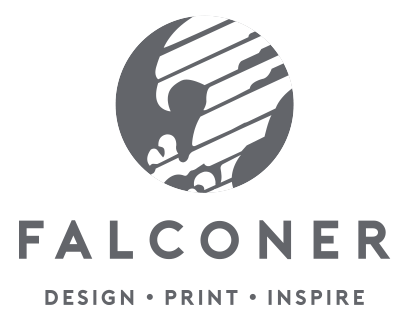 By post: The Managing Director, Falconer Print and Packaging Ltd, Unit G5, Navigation Close, Lowfields Business Park, Elland, West Yorkshire. HX5 9HB. You also have the right to lodge a complaint with the UK regulator, the Information Commissioner. Go to www.ico.org/concerns to find out more.